Another translated Japanese blog detailing some of the changes made to the Super Street Fighter 4 roster in the Arcade Edition. • Light Punch Headbutt now has lower body invincibility instead of upper body invincibility, so it will be harder to utilize it as anti air. • Ultra 1 has projectile invincibility until the last active frame. • Ultra 2's command has been changed to two half-circle backs from a 720 motion. It's easier to get it out now. Also, while its range increased, it starts up in 2f so it's possible to dodge it after screen freeze. • During backdash, Honda is now considered airborne right after invincibility ends. • He had solid skills that builds high damage, so he had overall damage decrease. His basis of strength has not changed, so he can fight as he does now. 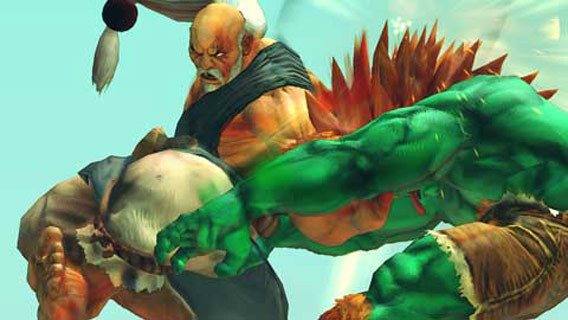 • All of Gouken's normal moves have been improved. • Close Standing Hard Punch and Close Standing Hard Kick have more frame advantage. • Close Standing Medium Kick has 3 frame start up start-up, so it'll be easier to compete against some of the other fighters. 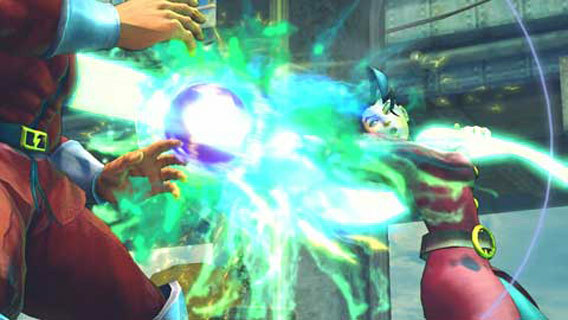 • Neutral Jump Hard Punch and diagonal Jump Hard Kick have pursuit properties, and will slam opponents into the ground. • Ranges on his normal moves haven't changed. • In specials, Light Punch Running Palm (Senkugoshoha) has been drastically changed, so it will connect from weak attacks (Light Punch/Light Kick), and EX Hurricane Kick locks opponent, making it easier to combo. • Recovery of the Demon Flip Focus has been significantly decreased, making it easier to utilize. 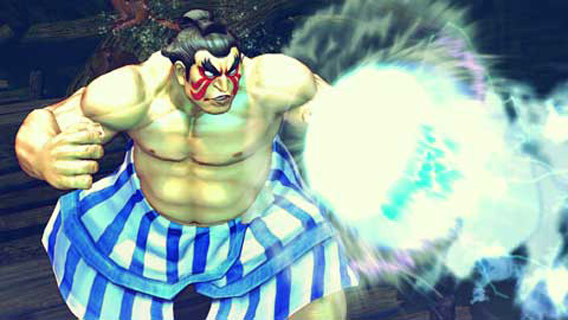 • Kongo (Counter) is changed as well. To be precise, it can only be activated now by using Punch buttons and the strength of the Punch changes where it sets up a counter hit at. Light for low attacks, Medium for middle attacks, and Hard for upper body attacks. • During backdash, Gouken is now considered airborne right after invincibility ends. • His normal and special moves have been changed, and he will be able to do new things while retaining old tactics. • As a result, his 'easiness' might have been changed, but you will be able to enjoy strategies different from Ryu and Akuma. • Her Super will no longer work when there is a Soul Spark in the screen. It is still possible to Cancel into Super from a Soul Spark, though. • Soul Satellite (Ultra 2) has been changed. For the sake of balance, its invincibility has been decreased (or erased). Normals, her projectile, anti air and her basic tactics will stay, so basically, Soul Satellite is the only one that has really been changed. • There have been changes to her normal moves. • Standing Light Kick has a 4 frame start-up, so it'll be easier to utilize as a weak attack. • Standing Medium Kick got changed to have a 5 frame start-up so it's possible to use it as the starting point of combos. • Kunai's (Dagger Toss) damage was decreased. • Neck Breaker had damage and stun nerf. • Jump back Kunai's trajectory has been changed to nearly straight vertical-wise. • A Crouching Hard Kick into Standing Hard Kick Target Combo was added. • It works in the same way as the later part of her Target Combo 6, but it added in more strategies. 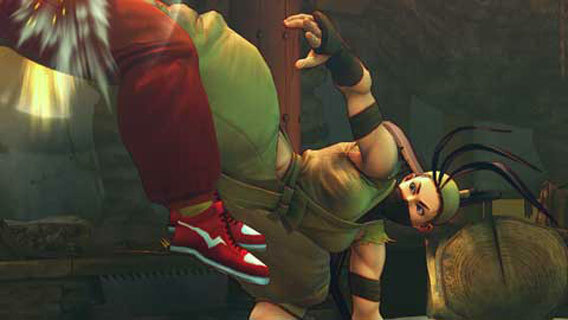 • Her Jump Flip (Tsuijigoe) would register as a counter hit when she was hit out of it, so this was fixed. Some of the normal moves have been buffed, and some special moves nerfed, but her potential will be the same as she is now. She will still be the same character when she is in control of the game, so it'll be fun to utilize her!